Con l'acquisto di questo prodotto è possibile raccogliere fino a 141 Punti fedeltà. Il totale del tuo carrello 141 punti può essere convertito in un buono di 28,20 €. To SUP-foil, simply set to the forward position. For windsurf-foiling, set to the backmost position and affix a sail to the mast track deck box and attach footstraps to a multitude of insert positions. Ready for an old-fashioned SUP-surfing session? Take advantage of the quad fin setup and compact shape of this mini simmons-inspired design to log some time on the waves. Hint: this shape is especially fun on small, mushy waves. Short, wide and unbelievably stable, the Hover 120 is as accessible as it is versatile. 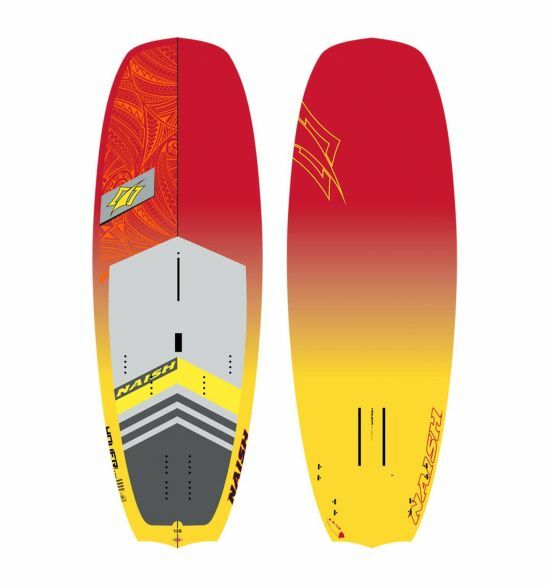 Featuring a huge sweet spot for its length, this board is a great choice for beginner foilers, while those more experienced can position the foil further back for greater maneuverability. Easily fitting riders of all sizes, the Hover 120 SUP/Windsurf foilboard is the ultimate choice for any waterman who loves to do it all.